Fig. 28. 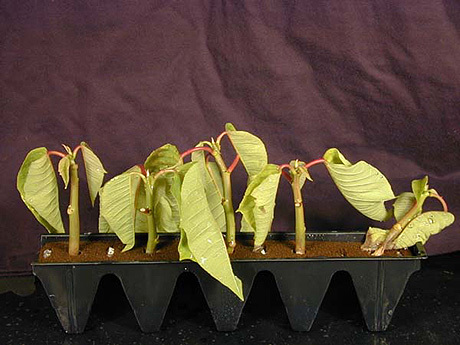 Collapse of a poinsettia cutting with stem rot in a rooting strip. Other cuttings in strip have visible stem lesions as well.